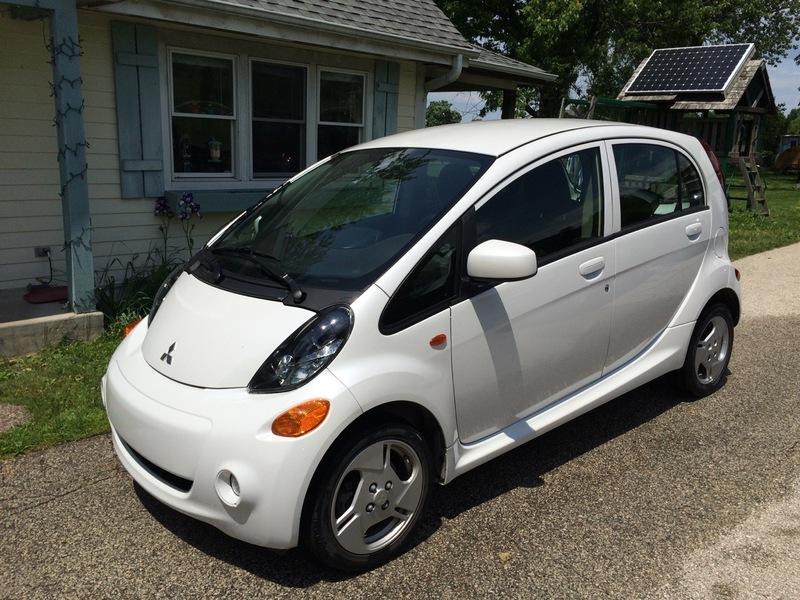 A while back, I told you what I did NOT like about the Mitsubishi iMiEV electric car. 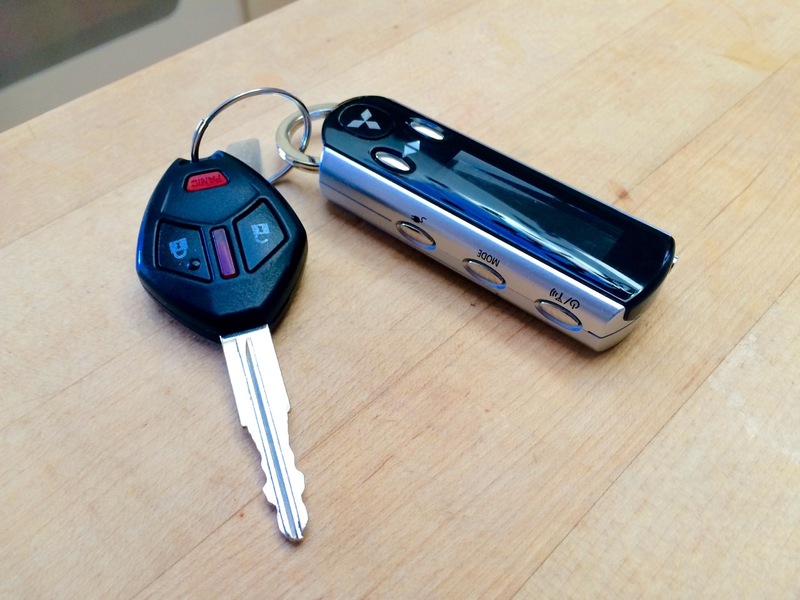 I originally posted that blog when I only had the car for about two weeks. Well, I’ve been driving the car for a while now, and I thought it would be time to update my dislikes list, so let’s take a look! I was totally picky and must have been in a bad mood when I first wrote the list. For any of the major dislikes, I changed, fixed, or modified it to no longer be an issue. Many of the dislikes were simply something different than what I was used to. After just driving the car for a while, those things were no longer an issue. The heater in the car isn’t that great…. Heat became significantly less of an issue after I installed the “Parking Heater”. That dedicated heater burns only a small amount of E85 fuel. I think I used about a gallon total for the whole winter. The “Pre-Heat” feature of the car is great, and I love having a heated seat as well. It’s still not perfect. 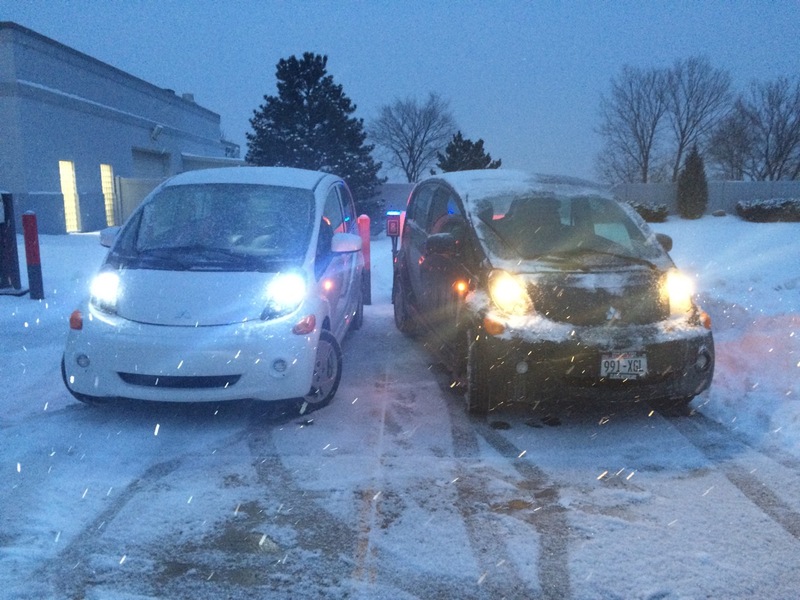 I do get just a little jealous of the Nissan Leaf drivers with the heated steering wheels. Also, my car just has the heater on the driver’s side, but not the passenger side. Most of the time, this is a one person car, so that’s not an issue anyways. It turns out that the noise was due to foreign material stuck in the fan. When I took the car in to the dealership for the free recall work, I had them take a look at the fan. Mice had shoved some dog food in there. The fan is nice and quiet now. I guess I really haven’t noticed road noise any more. Although the Odometer button is in sort of an odd place, it’s not that big of a deal any more. I leave the odometer in the “Miles Remaining on this Charge” mode. I reset the trip odometer before I leave home every day, so I can see how many actual miles I did. Around 30 miles is pretty typical. The car doesn’t have a great freeway feel. My feelings on this haven’t changed. The car is short-wheelbase and the suspension is a little bouncy. It’s not a great freeway car. However, I’ve found that driving fast drains the battery quicker. So, in general, I tend to take the side roads. I get better range and the freeway is all torn up right now anyways. Still true. Of course, I think I got spoiled by how the Prius has two glove-boxes and so many other secret storage spaces. Since I’m usually traveling by myself, I find that I toss a lot of things on the passenger seat. I do tend to drink coffee from a travel mug while in the car. Just one cup holder is fine for me. The one thing that I’ve noticed is that the cup holder folds down directly beneath the air-conditioning vent. If it’s hot and I want the AC on, the coffee cup directly blocks the vent! Not the best design. It’s a car. It has a key. Get over it. The charge port is on the wrong side of the car. 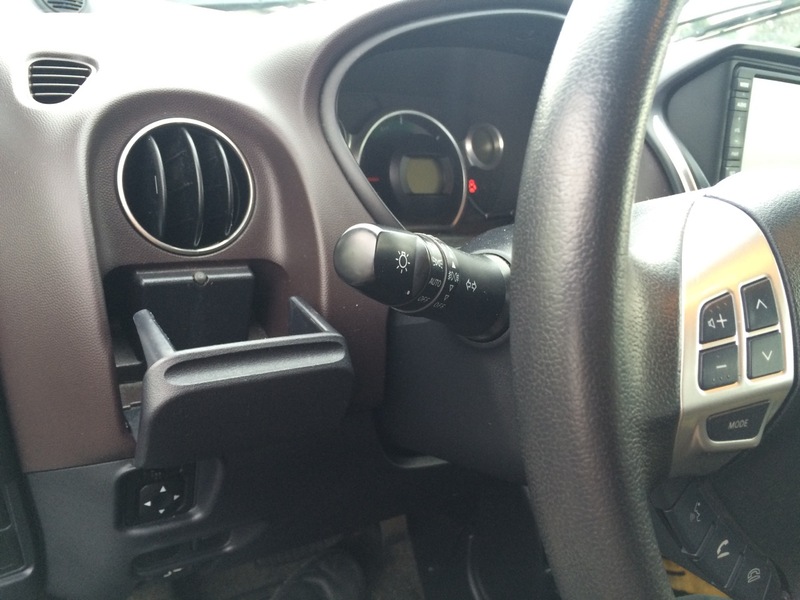 The driver’s seat is on the left, and the charge port is on the right. The charge port location is still NOT ideal. It WOULD be more convenient on the Driver’s Side (Left side) of the car. Not a deal-breaker, just not ideal. The main thing is that you can’t physically SEE whether or not the car is plugged-in from the driver’s location. I’m sure that this was a factor when my wife managed to try driving off with the car still plugged in and damaged the charging cable because of it. Again, not a deal-breaker, but a slight inconvenience or design element that could be improved upon. When I open the charge port, I make sure to open it ALL THE WAY, as far as it will go, to not catch my hand on the latch. 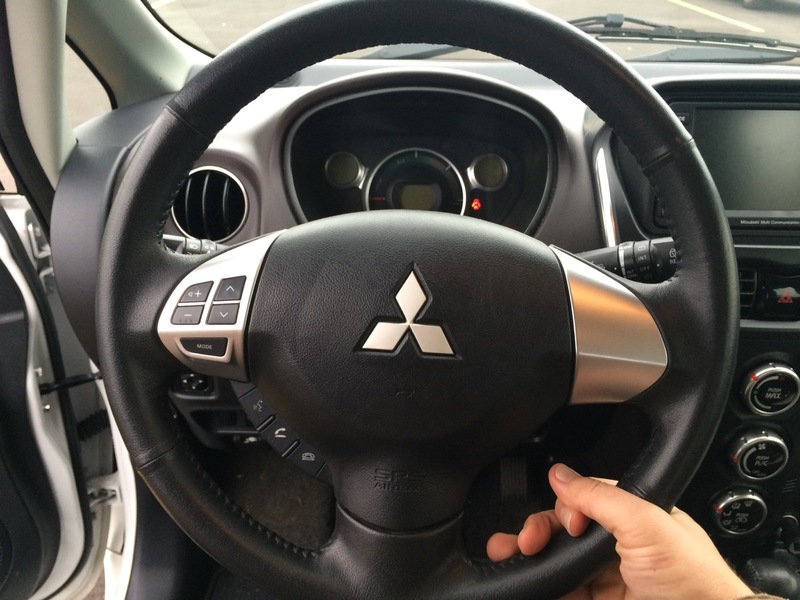 The steering wheel doesn’t tilt. That’s ok. I still find myself wishing that the wheel had four spokes instead of three, as I do like to sometimes drive with just one hand resting at the six o’clock position. Not an issue anymore. I’ve removed the rear headrests as I usually keep the rear seats folded flat. 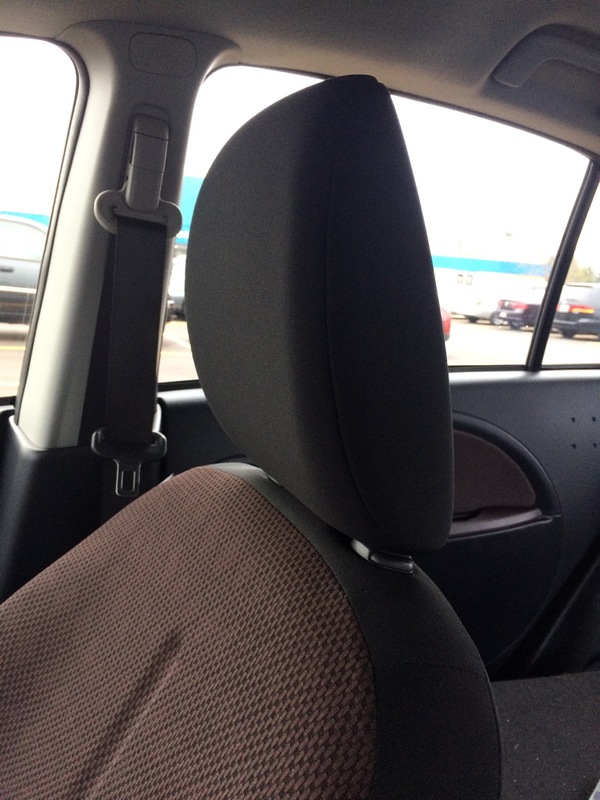 For the driver’s head-rest, it was really just a matter of finding the correct seat adjustments. I just use the power lock button on the remote. It’s fine. At some point though, I might take a little orange paint to the locks to give a visual confirmation of the doors being locked or not. The car is skinny. If I have a passenger, I try not to buckle my seatbelt at the same time as the passenger so our heads don’t hit together and make that hollow coconut sound. Same issue as driving a Geo Metro. Now that the weather has warmed up, I’ve been noticing just how many bugs get splatted on the front of the car! The white color is really hard to keep clean! I don’t know that black would be any better, but black sure looks sharp! If I had my choice, I would have picked the Raspberry color. It’s a pretty color I’m sure it would not show off the bug splats the way the white does. I’ve also noticed that the front and rear bumper covers are just plastic. Although the color matches the rest of the car perfect, the plastic tends to scratch easily. I already have a number of small scratches on the bumper covers. I upgraded the headlights, daytime running lights, and dome lights to LED. They now look officially awesome! I’m used to it now. It’s still different than other cars I’ve owned. One thing I really LIKE about the shifter is that there’s no button that has to be pressed to release it. 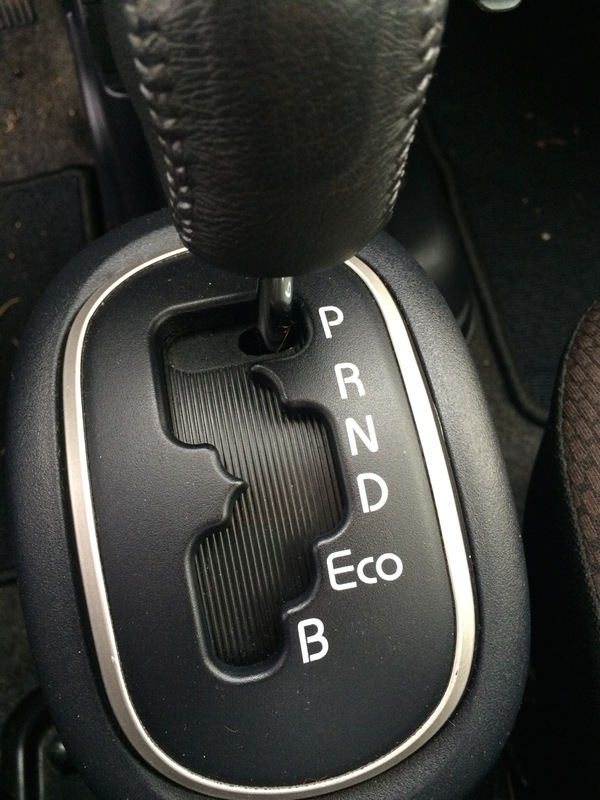 That means that I can quick and easily shift between Neutral, Drive, and Eco. I sometimes find myself just quickly bumping the stick from Eco to Drive for accelerating onto the freeway or up a big hill. One thing I would still like to change is the fact that there’s no light in the charge port. Charging at night in the dark is slightly inconvenient when I can’t see the port to plug in. This car really needs a “Tap-Light” or something right in the charge port. Nissan added a light for the same reason to their later model Leafs. The biggest single dislike was that the heating system was never designed for the climate I live in. I fixed that with the aftermarket heater. I LOVE the look and feel of having all LED lighting. There’s still a few things that aren’t perfect, mostly based on the fact that the Japanese version of this car was right-hand drive, and they really didn’t modify a few of those things for the American market. Lots of the little odd quirks just took getting used to. It’s not so much that they were problems as it was that I was just used to something else. I’ve gone over 100 miles per day a few times in this car. 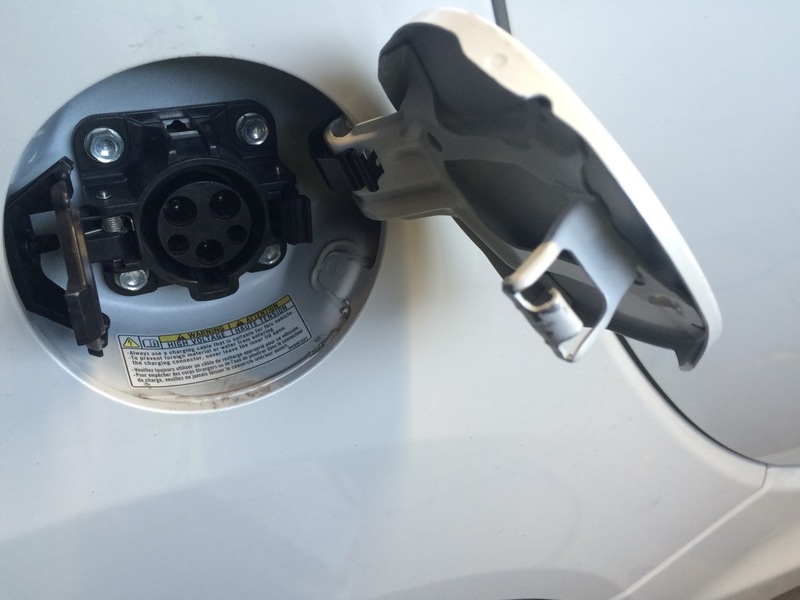 It charges nice and fast on 240V, and just opportunity charging the car really extends the range. 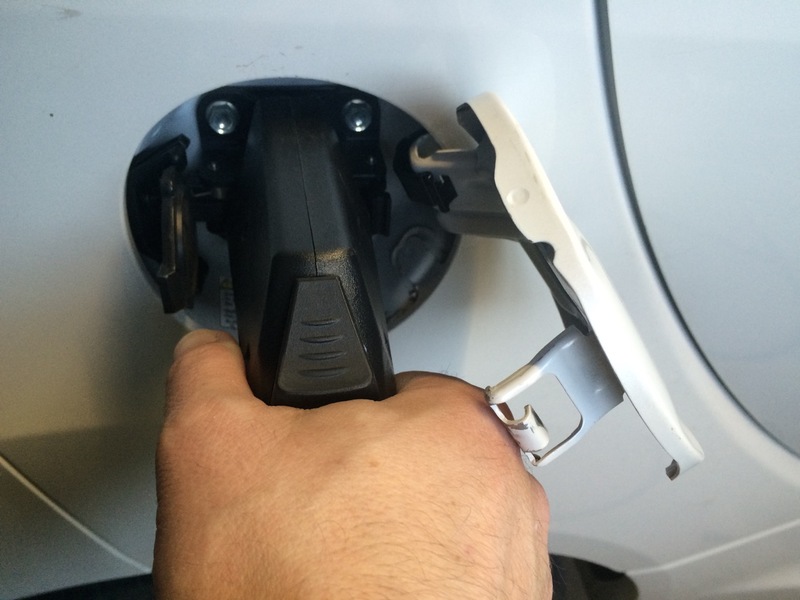 I also really love having the CHAdeMO quick charge available to me, and the fancy stereo is great! Overall, it’s a pretty basic car, but it was also extremely affordable and will quickly pay for itself while running on renewable energy! Any chance that the charge ports could be swapped? Maybe the wires are long enough. I doubt it, I guess, but it might be worth a quick look.